Download on iTunes: https://itunes.apple.com/us/album/eastside-story-deluxe-edition/id1116324554 Jamaican-born, Atlanta-bred Genius is a major architect of the ATL trap scene, working behind the scenes as a DJ, curator, and mixtape host in the influential music city. 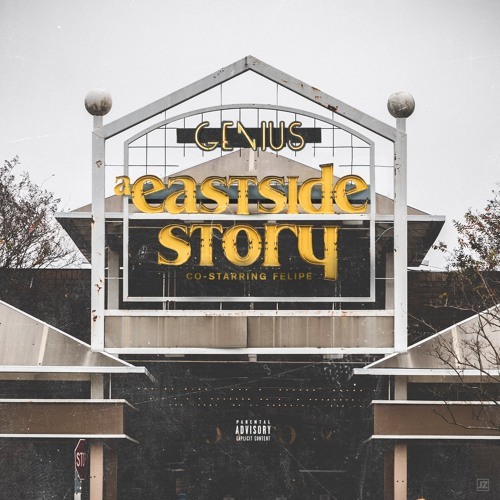 With today's release of "A Eastside Story (Deluxe Edition)", Genius grabs the spotlight demonstrating his considerable abilities on the mic. The album is a collaborative effort with newcomer Felipe, and the two emcees demonstrate close chemistry, trading bars and providing each other with auto-tuned ad-libs.